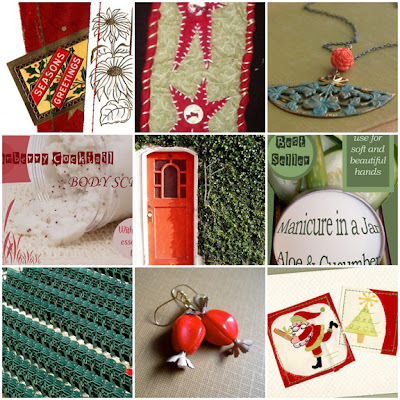 Boston Handmade: Monday Mosaic - 8 shopping days to go! Monday Mosaic - 8 shopping days to go! With such little time left until Santa arrives make sure to visit Boston Handmade shops to take advantage of last minute sales, shipping deals, and get those one-of-a-kind handmade wonders before they disappear! Thank you to Mimi K. for putting together our Monday Mosaic!